Mike Patton, John Stainer, Duane Denison, and Trevor Dunn (aka Tomahawk) are back! Check out the posters (and where they are available) from their recent mini tour! TRPS Festival of Rock Posters show this Saturday! This Saturday we will have a booth at the Festival of Rock Posters show in Golden Gate Park! 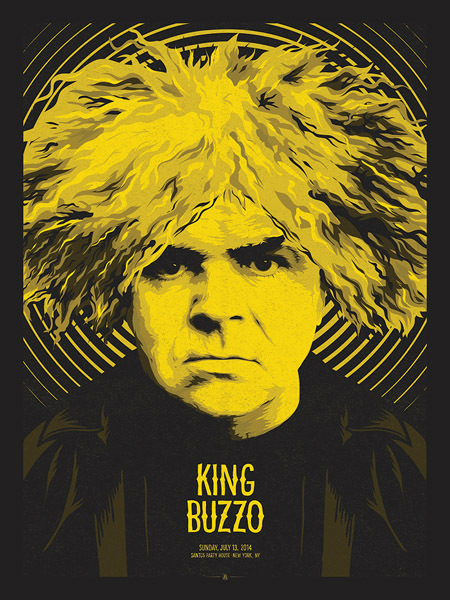 Along with Alan Forbes latest posters, we will also have posters from various other artists that have taken part of our recent tour series including the Melvins / Melvins Lite, Swans, and many more! Our annual Fall Clas­sic, the TRPS Fes­ti­val of Rock Posters is set to go for Sat­ur­day Octo­ber 13th, 2012 at the San Fran­cisco County Fair Build­ing (aka Hall of Flow­ers) in beau­ti­ful Golden Gate Park. Fea­tur­ing rock poster artists and deal­ers from around the coun­try, this is the biggest rock poster event of its kind any­where! Those of you who have attended this show in the past know that this is the one not to miss. We bring in the best of the best, and you’ll find every­thing from vin­tage psy­che­delic trea­sures to the best of the mod­ern silkscreen move­ment. This year’s ver­sion promises to offer another stel­lar lineup! The loca­tion is at the cor­ner of Ninth and Lin­coln on the South edge of the Park, not far from the Haight, the DeY­oung Museum, and the Acad­emy of Sci­ences. There are plenty of great restau­rants close by, too. Make it a week­end and bring the fam­ily to enjoy the great weather, an awe­some poster event, and every­thing else San Fran­cisco has to offer! The TRPS Fes­ti­val of Rock Posters runs from 10:00 am until 6:00 pm. Admis­sion is $10 for the pub­lic, and $5 for TRPS mem­bers with card. Yes, you can join up (or renew) there and take advan­tage of the mem­ber discount.